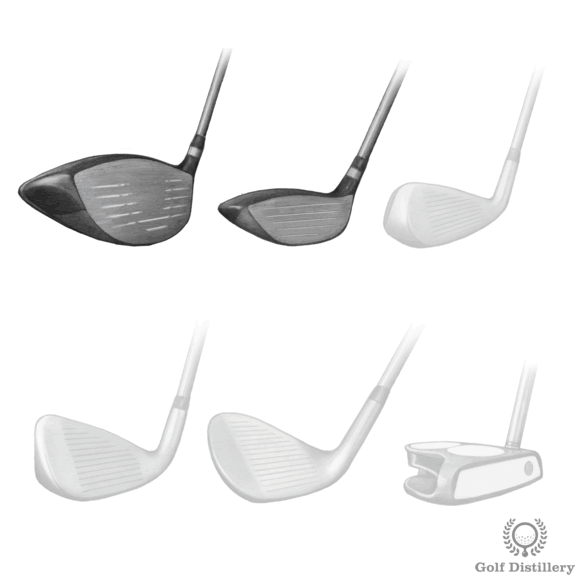 While swing thoughts are organized on this website by the swing sequence they relate to you are invited to review below the top 5 swing thoughts for use with a driver and fairway woods. In a general sense, these swing thoughts account for the fact that the ball will normally be found forward in the stance, the shaft of the club is longer than it is in other clubs, and the ball is meant to be struck while the club is rising from the bottom of the swing arc, especially when using a tee. The “Low and Slow” swing thought accounts for the fact that a full swing with a driver is the widest and longest swing a golfer makes. It mainly targets the takeaway portion of the swing, which occurs early in your backswing. The “low” portion of the thought deals with the fact that a swing with a driver should be flatter than it is for a swing using a wedge. This is due to the long length of the club, which puts your spine in a more standing up posture than for any other club, and especially wedges. Secondly, the “slow” portion of the thought deals with the fact that the clubhead will travel the longest distance. 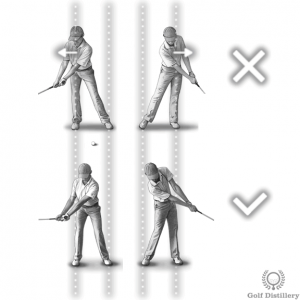 Again, this is true because the clubhead is furthest removed from the hands due to the length of the shaft. 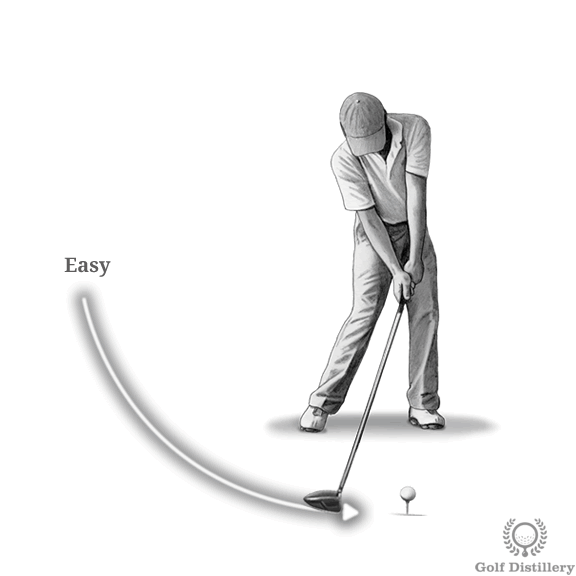 As a result, there is no point in rushing the process early on in the swing, specifically during the takeaway portion which this thoughts deals with. Rather, it is best to begin the swing using a good pace that promotes good tempo and smooth transitions into the different swing stages. Overall, this swing key will promote swing acceleration into the ball, which is a crucial component of a solid golf shot. As we’ve just seen, drivers and fairway woods through they’re being the longest clubs in your bag invite the widest swings. 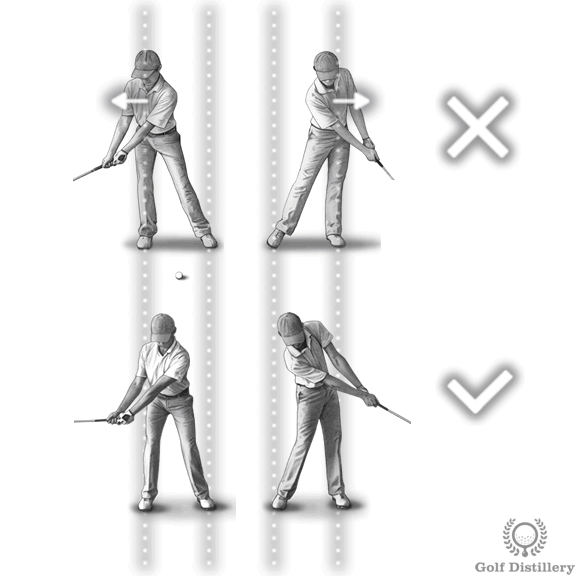 And seeing the clubhead moving over long distances can make you lose focus on swing fundamentals that produce power, and that is to turn your hips and shoulders. Indeed, because the swing is wide and the clubhead moves far from your hands a natural tendency sees your hips and shoulders moving back and forth as your progress through the swing sequences. This is called swaying and it is in contrast to a proper swing that sees your upper body – shoulders – rotating on top of your hips. Generally, correctly turning instead of swaying increases shot consistency as the bottom of the swing arc is not allowed to move much and can be trusted to be where it needs to be, and reliably so. Swaying also robs you of distance, disguising the wanted coil/uncoil process behind an unproductive sliding of the hips. Generally speaking, adopting a swing trigger is recommended as it assists in initiating the complex sequence of actions that form a golf swing. 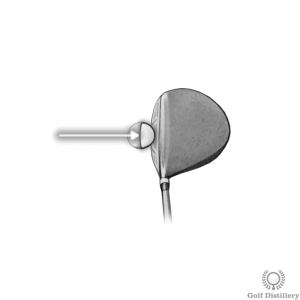 It makes even more sense to adopt a swing trigger whenever using a driver because of how anxious the prospect of the upcoming shot can lead you to be, especially on the first tee. So instead of freezing at address why not adopt a swing trigger and while you’re at it, why not adopt the one recommended by Harvey Penick himself. Indeed, in his bestselling ‘Little Red Book’, the famous caddy praised the benefit of visualizing you are holding a bucket of water instead of a club at address. 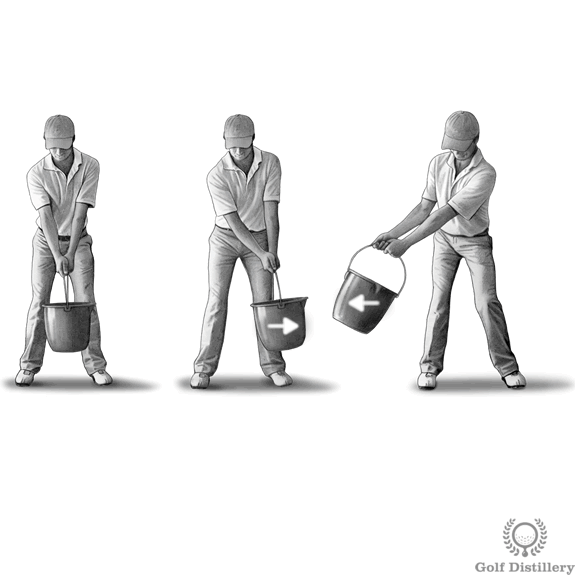 The idea is to press your hands a little forward before you bring a club back, as you would if you were to swing the bucket of water back. This little press forward movement would help create momentum and allow you to bring the heavy bucket back. The same idea applies to a golf club. 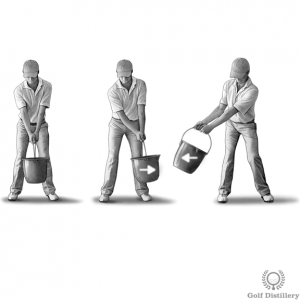 In addition to a swing trigger, pretending you are holding a bucket of water makes you focus on the importance of the fluidity of movement that would be required in order to produce a good golf swing. If the movements are too abrupt or otherwise jerky then the water would spill out from the bucket. This swing thought reminds you to let the club do the work it was meant to do. Indeed, woods are the longest clubs in your bag and as such generate the greatest club speed at impact. This is true even if you use the regular swing speed that you use with your other clubs and it doesn’t require you to swing harder. Focusing on a proper swing rhythm with correct acceleration into the ball – without trying to destroy the ball – will be plentiful in sending the ball over long distances. It also seeks to protect you from the many swing errors that come with a rushed swing. Indeed, a swing that progresses too quickly can lead into mistiming issues, which in turn can lead to all sorts of swing and shot errors. Generally speaking, you should find that you’ll hit the ball over the longest distance and be most accurate when the swing felt relatively effortless. Or in other words, when you didn’t feel like you were trying to kill the ball. This swing thought targets the address position – while you are setting up for a shot – but can and should remain in your head throughout the golf swing. 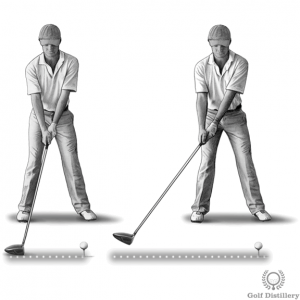 It accounts for both the facts that the ball will be found forward in your stance and that you are meant to strike the ball while the club is past the bottom of the swing arc. This is especially true when the ball is placed on a tee but it also serves to contrast with a hit using irons, which should see the bottom of the swing arc located after the ball is struck. Hitting down on the ball that is placed on a tee can lead to skyed shots, which you’ll definitely want to avoid. Additionally, focusing on a specific part of the ball instead of on the ball as a whole helps in making sure you keep looking at the ball throughout the swing and stay committed to it.